Whale season is in full swing in March offering great chances of sightings and the juvenile penguins are busy learning to swim. With fewer ships about, lower prices and generally good cabin availability, it’s a good time to go. Early March is well worth considering, particularly for spectacular whale sightings. The lower Shoulder Season pricing can really make a difference. Do note that conditions can markedly deteriorate from mid March. If you are going late in February or March I would highly recommend a circle crossing. The feel and look of Antarctica certainly changes down there. Spectacular. Otherworldly. Impossible to convey what it's like to some one who hasn't been there. It's expensive but I don't regret a penny. March marks the dividing line between summer and autumn in Antarctica. Wildlife numbers aren’t as plentiful, but whale sightings are at their best. With winter fast approaching, penguin chicks are racing to fledge and learn to swim, while whales sightings peak. Fewer ships and lower prices. By March the humpbacks have fed and are more curious. In the Errera Channel during one memorable zodiac cruise we had whales all around us and very close. We stayed for hours and even then didn't want to leave. What is the weather like in Antarctica in March? March is a time of change for Antarctica as the early onset of winter begins to be felt. From around mid March the weather becomes increasingly colder and less predictable, and the number of ships markedly thins out as the season draws to a close. It can be a tricky time of year to visit Antarctica and can feel very different, depending on whether you are there at the beginning or end of the month. Temperatures tend to be around -5 to 0 degrees Celsius (20 to 30 degrees Fahrenheit), it can get colder, and of course, on a sunny day, it can feel a lot warmer. Wind chill may at times play a factor. Dress appropriately and you are unlikely to feel cold. Inside all the vessels you can expect standard room temperature and quite often each cabin will have its own temperature control thermostat. Things change quite quickly in March, for example, each day that passes there are around 15 minutes less daylight, so the sun is literally setting on the season. 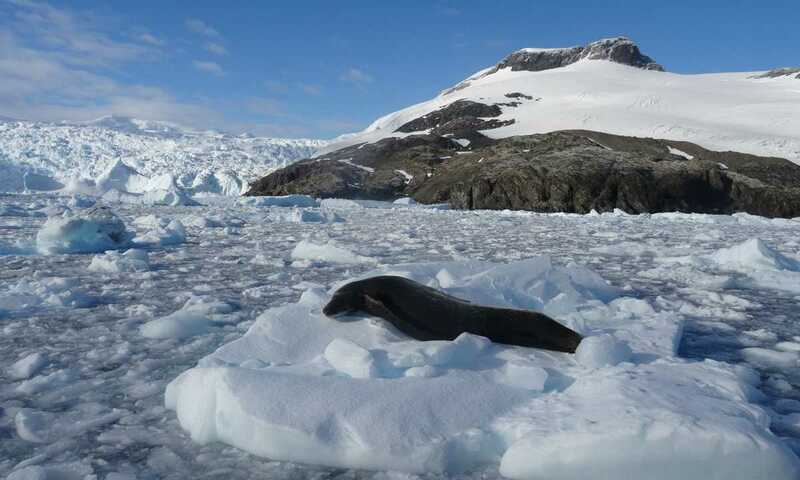 Is March the best month for seeing wildlife in Antarctica? By early March in Antarctica, penguin colonies are still large and chicks are learning to swim and feed themselves. While the penguin populations in March will be smaller (although you'll still see thousands), it's prime time for whale watching, particularly in well-known hang-outs like Wilhelmina Bay. Humpbacks by March can now become more curious, particularly the juveniles. Towards the end of March things start to change: once the adult penguins have moulted, they start to desert the rookeries and head back to sea where they will spend the polar winter, not returning again to land until November. Whales are also fully fed and thinking about heading back north to their breeding grounds. For those doing the longer voyages including South Georgia, it's an exceptional time to be visiting. The King penguins are in their greatest numbers at this time making for great photography, there are lots of playful fur seals and Macaroni penguins, and the Wandering Albatrosses on Prion Island have small chicks. 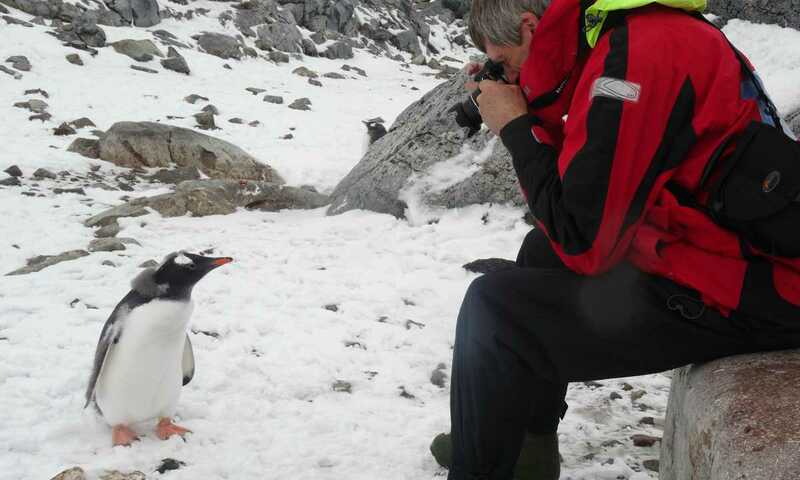 To read more on Antarctic wildlife, visit our dedicated page. Is it cheaper to visit Antarctica in March? March is a shoulder season month to travel to Antarctica, like November, when the prices are lower than high season and trips offering good value can be found. Early March trips are definitely worth considering, however the savings made by taking a later March departure may well be eroded by the colder, less predictable weather and the fewer wildlife, so choose carefully. Can I fly to Antarctica in March? No, unfortunately it's too late in the season and there are no flights available to Antarctica in March. What additional activities are available? March is still a very good month for kayaking. With the nights drawing in ever earlier as the month progresses, camping isn't always possible.